“As one of the Principals of Hourigan, Kluger & Quinn, I am honored to be named Lawyer of the Year." 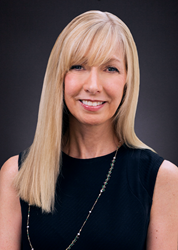 Hourigan, Kluger & Quinn PC is pleased to announce that Michelle M. Quinn, Esq. has been named Lawyer of the Year, NEPA Region - Product Liability Litigation, of the 2018 Edition of The Best Lawyers in America, the oldest and most respected peer-review publication in the legal profession. Attorney Quinn has also been named in the following categories: Medical Malpractice Law – Plaintiffs; Personal Injury Litigation – Plaintiffs; Product Liability Litigation – Plaintiffs. Attorney Quinn received the Northeastern Pennsylvania Trial Lawyers Association's first annual Lawrence W. Roth Award "in recognition of her outstanding commitment to NEPTLA, her compassion for clients and exemplary character." She has been named a Pennsylvania Super Lawyer and has been recognized by the National Trial Lawyers as a Top 100 Trial Lawyer for 2011, 2012, 2013, 2014, 2015 and 2016. She has also been included in Woodward-White's edition of "The Best Lawyers in America," and has been named by the American Society of Legal Advocates as a Top 100 Litigation Lawyer in the state of Pennsylvania for 2013, 2014, 2015 and 2016. Attorney Quinn currently acts as spokeswoman for HKQ Kids, a child advocacy organization created by Hourigan, Kluger & Quinn to promote education and awareness about safety issues affecting children. “As one of the Principals of Hourigan, Kluger & Quinn, I am honored to be named Lawyer of the Year. Outstanding dedication, compassion, education and research, and preparation by support staff, as well as the entire HKQ Law team has helped me obtain this honor. We all work toward one goal - results for our clients,” says Attorney Michelle M. Quinn. Since 1987, attorneys at Hourigan, Kluger & Quinn have been named to the Best Lawyers in America list. Lawyers on the Best Lawyers in America list are divided by geographic region and practice areas. They are reviewed by their peers on the basis of professional expertise, and undergo an authentication process to make sure they are in current practice and in good standing. “For more than a third of a century, Best Lawyers has been the gold standard of excellence in the legal profession,” says CEO Steven Naifeh.”We are extremely proud to acknowledge the accomplishments of these exceptional legal professionals,” says President Phil Greer. Hourigan, Kluger & Quinn is considered one of the top civil litigation and commercial law firms in Northeastern Pennsylvania. The firm’s Personal Injury Team, led by Attorney Joe Quinn, has won some of the largest verdicts and settlements in the region's history, totaling over a half billion dollars on behalf of injured clients. HKQ Law was recently recognized for one of the top 20 Verdicts in Pennsylvania, 2015.
honored with membership in the Inner Circle of Trial Advocates, and one of only 500 attorneys worldwide chosen to be a Fellow of the International Academy of Trial Lawyers. He has been a Pennsylvania Super Lawyer every year since the program began and has been listed in The Best Lawyers in America every year since the publication was established in 1987. Best Lawyers also named him top personal injury attorney for Northeastern Pennsylvania and the Lehigh Valley. In addition, Best Lawyers, in conjunction with U.S. News & World Report, has designated HKQ a Tier 1 Best Law Firm for personal injury and medical malpractice litigation in Northeastern Pennsylvania and the Lehigh Valley.